If there’s one thing that Cindy and I have come to learn over the last two decades, there’s only so much you can do when leading a group of 30 or more Jeeps on a trail run. With some effort, you can get photos of the run or you can film it but it’s next to impossible to do both. Or at least, not very effectively. Needless to say, for the 2019 WAYALIFE New Year’s Kick Off Run, we decided to focus our attention on filming it and because of it, we weren’t able to get as many pics of the trips as we would have preferred and for that, we apologize. That being said, we were able to take a few here and even took some on our pre-runs and I thought they might be worth sharing here. Click on the link below to see them now. I hope you enjoy. 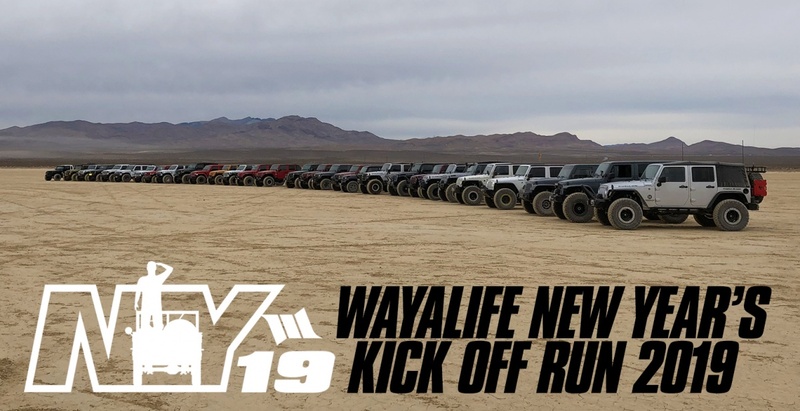 Be the first to comment on "WAYALIFE NYKOR 2019 : PreRun + A Few Highlight Photos"